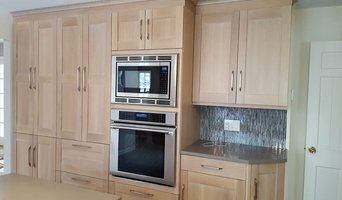 Bill's Creative Carpentry was founded in 2002 by Owner / Operator - William J. Klein Since then he has been using his skills to create and complete projects of all magnitudes. We are a full service construction company that specialize in turning the ideas of our clients into reality. From custom decks to renovating kitchens, to even changing door knobs we work closely with our customers every step of the way and ensure there satisfaction. 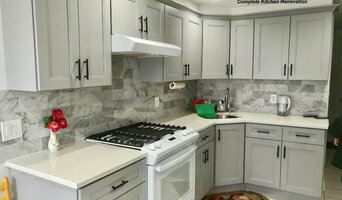 We can help you with all of your Home Improvement and Remodeling Needs! City Suburb, Inc. is here to beautify your home or commercial business with the world's most enduring materials. Masonry has a timeless and natural beauty which can accent and enhance any design or style. Rough-hewed granite or perfectly smooth marble, we will work with you to organize and design the ideal complement to your Queens space. With our qualified team of specialized masons you will get quality work at a reasonable price, every time. Our decades of experience in the industry have given us connections in every facet of the stonework community. We receive the best deals on material which we pass on to you the customer. You pay what we pay for the materials and we get them at a lower price than any wholesale materials store. The only profit we make is on our excellent service, so you can count on City Suburb, Inc. for quality work at unbeatable prices. Please note, our new showroom location in Briarcliff Manor: 1250 Pleasantville Road, 2nd Floor Office #8, Briarcliff Manor, NY 10510. In 1987, Odilardo Faria started a small contracting company providing remodeling services to Westchester County. In 2000, his wife Irena joined him. Together they created a beautiful kitchen and bathroom showroom, and have worked as a successful team ever since. Today Irena and her team help customers design their dream kitchens, baths, and custom closets; and Odie with his crew turns those dreams into reality. Just recently we've added to our showroom a new Organized Closet display. Feel free to reach out to us, we would love to hear from you! Design and Showroom Consultation are by Appointment Only. Welcome to TIEZZI Construction, LLC: TIEZZI Construction LLC is an award winning Construction Company that is a direct reflection of its Owner, Steven E. Tiezzi, AIA, who combines his professional career as an Architect with his lifelong involvement in his family’s construction company to produce high quality buildings and homes. Based on his experience, Steven is able to offer Clients a complete range of services including: - Architectural Design Services - Design/Build Services - Construction Services As an Architect, Steven uses his construction experience to design projects within budget. As a Builder, Steven uses his architectural training to understand each client’s design so he can easily work with Clients and other Architects to develop details during construction that are consistent with the overall design. The Mission Statement: “Tiezzi Construction, LLC is a service first Construction Company that provides a high quality project through a team effort of thought, design, and construction resulting in lasting relationships!" Founder and CEO Shawn Singer is no stranger to the real estate world. With over 20 years of experience, Shawn has done it all. After graduating from Ithaca College, Shawn is Chief Operating Officer for Triple Eagle Real Estate Corp of NYC. He also is President of Westchester Property Management, founded in 2005, which oversees more than 500,000 sq. ft. of commercial, residential and industrial space. In 2011 he founded Singer Real Estate Group, a private real estate development group serving the greater New York City area. All of his experiences with his clients made him savvy to the struggles property owners go through when it comes to property upkeep. In 2015 Shawn founded Palace Guards. His mission is to make private homeowners’ lives easier by taking the stress of home management and putting it on his shoulders. We specialize in all types of construction work. Starting from interior to exterior. This website generalizes all our areas of expertise. It will help our customers understand what they want and need. Giving us a chance to make our relationship strong and also giving us the opportunity to serve them better. In brief, you should know the following about us: our family business was established over 30 years and now has branched out on its own. We have been providing outstanding exterior and interior home improvement services ever since. Our specialty is in the area of masonry work, roofing, and waterproofing. Our regular customers particularly value the prompt response of any call, email, or text messages. Carpentry, electrical, plumbing, gas and more. Our services are varied, and all come with the same promise of quality, dedication, and durability. Licensed and insured, we have worked with experienced tradesmen and technicians for over 25 years. 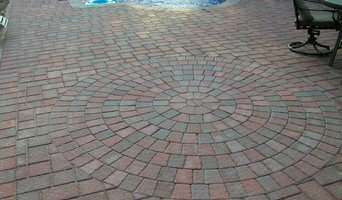 We only work with the highest grade materials available while working within your budget. We will never compromise quality for time given to our clients realistic schedules that accommodate their lives. 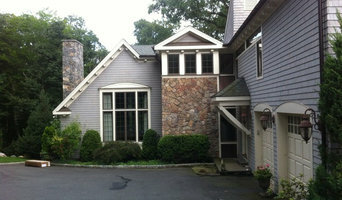 A wet basement can be a nightmare for any homeowner in Fairfield, CT. Musty smells, damp floors or walls, leaky windows and standing water are all signs that you need to hire a Fairfield basement waterproofing professional immediately. Waterproofing a basement in Fairfield, CT can help prevent problems such as mildew, mold and rot, which can all lead to health issues or structural damage. Don’t take basement and foundation waterproofing lightly — contact a Fairfield pro now to fix current basement water damage and prevent future disasters.